It’s time for a confidential confession from your good friend Mike Paulus. Many years ago, at Regis High School here in Eau Claire, people called me “Aqua Blue.” Shocking, I know. And like most nicknames, the origins of Aqua Blue are utterly unexciting. But I’ll tell you all about it anyway. During my freshman year, I was on the football team. Stop laughing. I was on the football team, and I had this old, bluish-green T-shirt I wore under my shoulder pads. 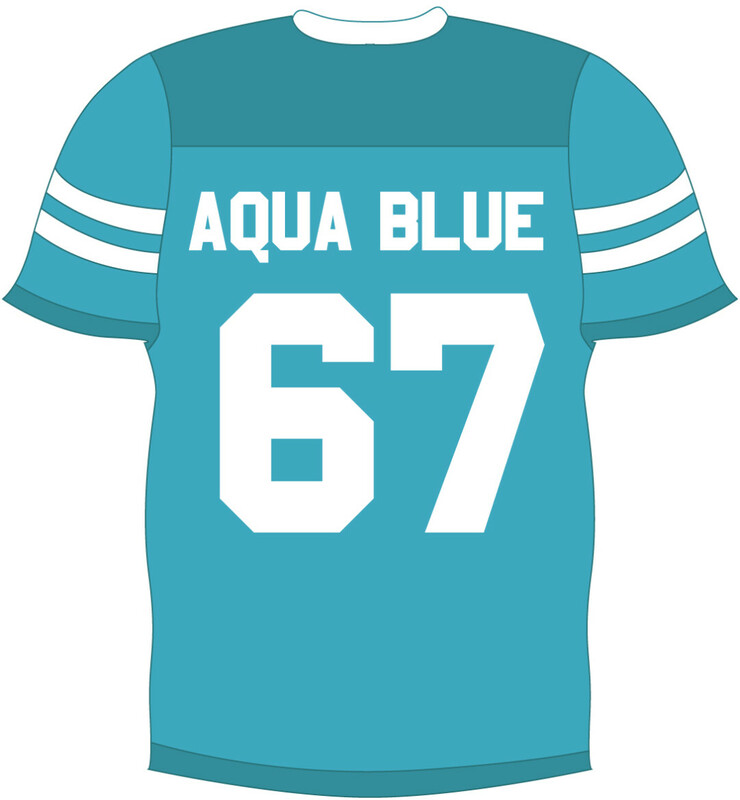 A couple of the upperclassmen noticed how often I wore it, and one day in the locker room, one of them called me “Aqua Blue.” The next day, he called me Aqua Blue again. And that was all it took. From then on, the upperclassmen used that name. If I ran into any of those people today, I’m sure they wouldn’t remember calling me a nickname, let alone why. And to be honest ... that’s kind of disappointing to me. A tiny little piece of my heart liked having a nickname, even if it was a completely stupid one that didn’t say anything about me. A more accurate moniker – given my prowess on the football field – would have been The Bulldozer or The Berserker or The White Tiger or ... The Catholic High School’s Junior Varsity Second String Left Tackle. That little nickname made me feel less invisible and maybe even, um, liked. Of course, none of the jocks calling me “Aqua Blue” ever invited me to their parties. But that’s OK because those guys used up most of their free time drinking blue raspberry-flavored Mad Dog 20/20 and making fart jokes. Anyway, that little nickname made me feel less invisible and maybe even, um, liked. Of course, none of the jocks calling me “Aqua Blue” ever invited me to their parties. But that’s OK because those guys used up most of their free time drinking blue raspberry-flavored Mad Dog 20/20 and making fart jokes. They also listened to Van Halen’s “Dreams” on a little boom box to get pumped up before games, so yeah, I probably dodged a bullet on that one. Speaking of sports and names, I’ve never been able to call another person by their last name, which is pretty much standard in your average locker room gathering of guys. It just never felt right. Calling someone “Johnson” or “Miller” or “Jacobs” or “De la Hoya” feels like I’m being fake, like I’m in some sports movie starring Gene Hackman. Maybe guys do that because first names seem too personal. Or maybe they just want to feel like they’re always on the football field. When I sit down and think about it rationally (which is, like, never), I’m not sure why the practice makes me cringe. Maybe I’ve rebelled against using last names because it sounds too jockish and cocky. Speaking of being cocky, you know those people who can’t have a conversation without conjuring up some slipshod nickname for you? I hate those people. They say, “What’s up, Big Guy?” or “What do you think, Buddy?” or “Nice moves, Playa!” I’m not sure what the point of that is – beyond thoroughly annoying the human beings around you. I suppose naming something (or someone) gives you a certain amount of power (either real or perceived), and calling someone Big Guy helps you feel in more control of social situations. I guess I just wish we could all be on a first-name basis. To sum things up here, I should probably spend a few paragraphs expounding on the power of language and how it can be used for both good and evil, and how nicknames can define us and provide us with some semblance of identity – the very thing many of us crave above all else and blah, blah, chicka boom, blah. Instead, I’d just like to encourage you all to start calling me The White Tiger.